Spend the day "down on the farm." In addition to farm equipment and old-time crafters, you'll learn about our rich agricultural history. 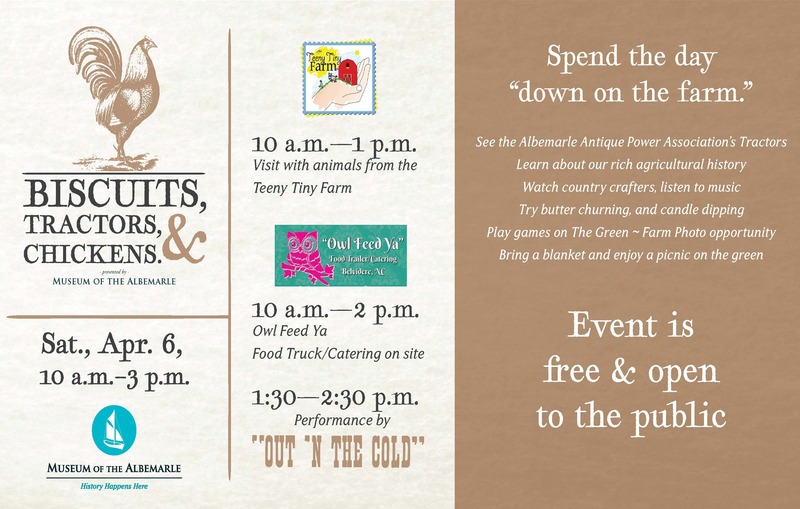 Albemarle Antique Power Association will also be on site with tractors from the past and some old-time equipment used to shuck corn! Other actitivies include live music, butter churning, and candle dipping. For an added treat, the Teeny Tiny Farm will bring their petting zoo from 11 am to 2 pm. Bring a blanket, and enjoy a picnic on the green!